Shopping for new garage door is something that you shouldn’t do more than once every 20-35 years. Yes, this is how long a high quality garage door, which was properly installed should last. If you invest in purchasing a high quality garage door, not only that you will get a garage door that will last for many years, you will also get a garage door that you will feel its quality every time you are going to use it. When thinking that the high quality garage doors can last for so many years, it is easy to understand why it is best to invest in quality when planning a new garage door installation. As we said, when you invest in quality, you get quality in return. The difference between a cheap garage door in Baltimore, and a high quality insulated garage door is not so big, when you consider the value of the investment. A high quality garage door in Baltimore does not have to be a custom made wooden garage door with special designs, that can cost few thousands, but it need to be insulated, from a leading garage door brand, and designed to fit the American standard. The color, the accessories and the shape are less important, as installing a quality good garage door. Like the doors Baltimore Garage Door supply and install in Baltimore. There many different types of overhead doors. Whether it is a custom made wooden door, commercial overhead door, or a private home garage door, Baltimore Garage Door can supply and install it. We offer garage doors installation from leading garage doors companies such as Amarr doors, Wayne Dalton doors and more. What really important is THE QUALITY of the door. Invest in quality door, and use a qualified installer, and you will be happy for many years. If there is a question that come up daily while servicing garage doors, is the question if it will be best to repair the garage door, or to replace it. The answer is Sometimes. Yes, sometime repairing a busted garage door can cost more than completely replacing the door, and in that case obviously it might be best to replace the door. But again, every job is different, and sometime we will recommend to keep the door and repair it and sometime we will not repair a busted garage door (Especially when it is a door that isn’t safe for use). If you start searching for a new garage door opener, you will find different brand names and opener’s types. Each one of them will tell you that they carry the best garage door opener in the whole world. 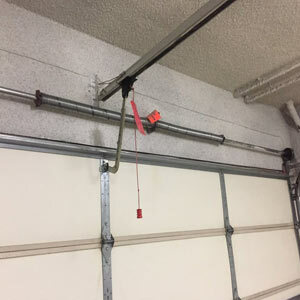 We would like to simplify things for you: In case it is important for you that your opener will work in a quiet way, choose Belt driven garage opener, especially when the garage is located bellow the bedroom or the living room. If your garage is detached, and the sound of the door won’t matter to you, go with the chain drive opener. Baltimore Garage Door supply and install all kinds of garage door openers in Baltimore. We carry high quality garage operators for both commercial and residential garages. Until now we discussed the importance of getting high quality garage door and opener when planning a new garage door installation. But a new garage door installation include one more part and that is the installation job. If you purchased the best garage door, but you did not hire a qualified installer to perform the installation, there is a chance that you will find in few years that you made a mistake. The installer is as important as the quality of the door. If commercial landscapping from Baltimore Garage Door sounds like the ideal solution for your business, give us a call at (443) 543-8265 or We can be there today!.